2014 marks 20 years existence for Kampfar, and with it comes Djevelmakt, an album marking a leap forward in the band's steadfast career. Where 2011's Mare represented a journey into the world of the witches, past and present, Djevelmakt conceptually digs deeper into the muck and bile of the underworlds and brings to light a world where rats feed on the blackest souls and where false choirs have no power. 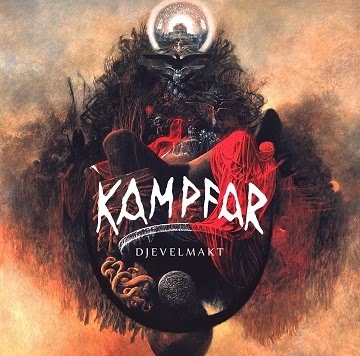 Norwegian black metal veterans Kampfar follow up 2011’s ‘Mare’ with latest release ‘Djevelmakt’ courtesy of Indie Recordings. 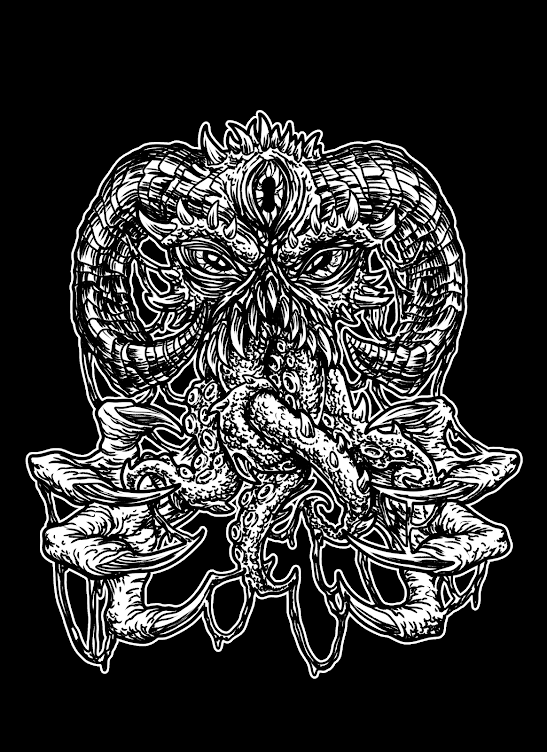 With a career spanning 20 years it’s safe to say these chaps know what they are doing, their portrayal of black metal inspired by pagan and folklore themes creates a dynamic and mesmerising listen. Despite being predominantly written in Norwegian the deep dark concepts that ‘Djevelmakt’ delves into permeate through the music and become immediately decipherable. Opening track Mylder begins with an unnerving piano intro before the heavy guitars and screams of ‘Helvete!’ forcefully take over. A sublime track, with an incredibly powerful chorus that even on first listen is massively memorable. 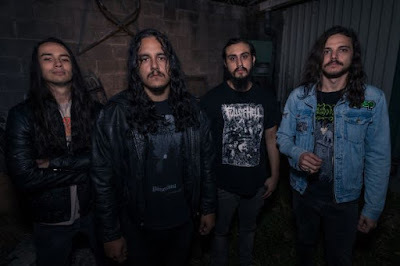 Interjections of folk seamlessly work alongside the black metal assault, reinforcing the pagan influence as well as breaking up the brutality of blast beats and relentless riffs. A menacing start to Swarm Norvegicus with haunting synth and discordant low piano notes, becoming darker with Dolk’s almost satanic like spoken word vocals, for sure one of the darkest tracks on the album. This album is conceptually about ‘the muck and bile of the underworld’ this is the track which ultimately epitomizes that concept. The album maintains a crisp flow throughout, superb drumming from Ask Ty who drives forward the pummelling momentum, alongside Ole’s ear shattering riffs. The latter half of the album proves to be particularly strong; De Dodes Fane is totally unpredictable, veering in directions you couldn’t possibly foresee, while Svarte Sjelers Salme showcases the brilliance of Dolk’s fearless black metal snarl in this short punchy three and a half minute assault. However final track Our Hounds, Our Legions is a cut above the rest, a solemn acoustic guitar riff eases us in before one hell of a stompy, distorted riff beats down like the hammer of Thor. The longest track of the album and yet long enough, Kampfar conclude their album with an absolute belter. Being from Norway and playing black metal inevitably produces certain expectations, Kampfar meet if not exceed that expectation with ‘Djevelmakt’. For a band that has been active for 20 years its incredible how they still manage to progress as a band and continue to push those musical boundaries. I’m throwing it out there, one of the best black metal albums I’ve heard this year.